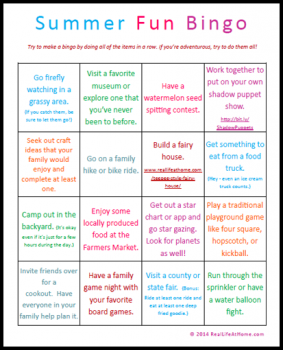 Real Life at Home has made a FREE printable Summer Fun Bingo page. This page contains just 16 activities to choose from. You can try for a classic bingo by just completing four activities in a line or diagonally, or even in just the four corners, if you prefer.